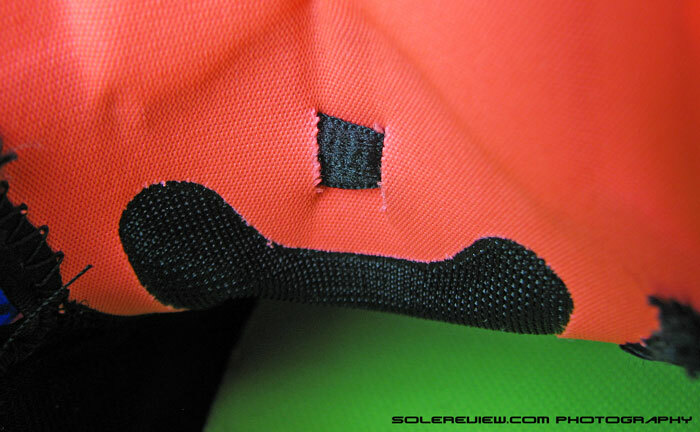 Upper: Single layer mesh, welded synthetic overlays, Flywire loops, inner sleeve. Midsole: Single layer compression molded EVA, forefoot Zoom Air bag. Outsole: Carbon rubber, exposed midsole foam. The Air Zoom Elite 7 is part of the four-shoe new Zoom pack which Nike gave everyone a preview of last summer. Each model featured a major re-design, overhauling its persona in more ways than one. If you’ve been following Nike long enough, this sort of thing happens once every few years. Strong winds of change blow away any hint of oldness from every nook and cranny, transforming what was once familiar into something totally new. The names might be the same with an ascending numeric suffix, but the shoes seldom are. The consequences of this come two-fold. One, runners struggle with a constant love-hate swing with Nike. Just when they were getting used to their pair of Pegasus or Structure, out comes a brand new version of it. The fact that you’ve been wearing the ‘same’ model for the past ten years counts for nothing. It’s like going to your favourite diner and ordering your regular. Fifteen minutes later, you’re chewing on your ‘regular’, and find out it isn’t the same. ‘Hey’, you yell at the server. ‘What’s this? Tastes completely different from what I had yesterday.’ The server just shrugs and shouts back, ‘You know Jeff? The cook? Well, he’s gone. There’s a new guy in the kitchen.’ Soon after, you either learn to love the new ‘regular’, or start eating something else – after spending a week tasting dishes on the menu, trying to find a match nearest to your now-historical favorite. Sound like your running shoe story? Two, in such cases of sweeping revamps, a common theme binds a whole shoerack of models. In case of the Zoom pack, ‘fast’ is the new marketing buzzword. If you go to Nike’s 2014 Zoom Air collection landing page, you’ll notice that all four models have a one-liner summing them up. No medals for guessing that the word ‘fast’ figures in all four sentences. Nike’s once-in-a-few-years transformation also leads to an aesthetic sameness of design, with a palette of materials being shared more widely across different models. There is a bright side to this though. And in case you haven’t noticed, we’ll be happy to point it out for you. For a long time, Nike was perceived as an ‘expensive’ brand. But how times have changed. Look around you, and it’s clear that the bastion of $100+ running shoes isn’t just Nike’s anymore. Smaller brands like Hoka sell versions of their maximalist promise for around $160 a pair, and Newtons at $150 a pop (pun intended). Saucony is still relatively reasonable, while brands like Brooks have moved their pricing goalposts by around $10 this year. Asics? You’ll only get something nice and plushy if you spend upwards of $120. Welcome to the new world order; where $150 is the new $100. So while the following sounds preposterous, Nike’s Zoom Elite 7 and Pegasus 31 appear cut-price compared to some of the stuff that’s out there. So how does Nike achieve this? We did a small study comparing manufacturing costs across brands, and Nike’s obvious cost efficiency comes into the picture. It combines scales of volume with common materials and simplified construction to keep costs low. Good for them, and good for us, as long as it keeps retail prices in check. 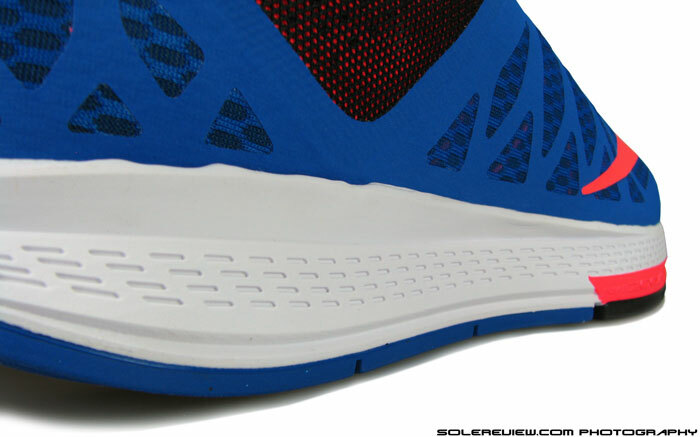 Midsole design looks identical to the Pegasus 31, but like a shoe reviewer would say, looks are only foam deep. Much harder than the Peggy. From a visual standpoint, you might actually get confused between the Pegasus 31 and Zoom Elite 7. The statement might sound odd, but just look at both the pictures. Lateral side profile of the Pegasus and Zoom Elite 7 midsoles look identical, with visually common elements in their upper too. It’s ok if you’ve been in and out of previous Elites and Pegasus and know what to half-expect. But it could certainly flummox someone trying to navigate Nike’s maze of products for the very first time. As we write this, Nike’s promotional banner for the Air Zoom Elite 7 went online on their running web-store , and the headlines emphasise that the Elite 7 has ‘highly responsive’ cushioning. This might lead runners into believing that it rides somewhat similar to the Pegasus 31, which by the way, is truly responsive. But we feel that the brand specified adjective isn’t an apt description of how the Elite 7 feels. There’s no heel Zoom Air bag, but a layer of hard cardboard sits below the EVA strobel. Zoom Air bag in the front adds responsiveness and stiffness in equal measures. Because in real world, the Elite 7 is a shoe with a relatively unyielding ride. It’s a good shoe with many positives to write about, but ‘highly responsive’ is bit of a marketing exaggeration. The shoe uses a compression molded midsole which is way harder than, say a Pegasus 31. The heel area is particularly bereft of responsive cushioning; if the Zoom Elite 6 felt firm, the Elite 7 is even more so. There’s an unexpected layer of hard cardboard below the Strobel and above the firm midsole, a feature we previously thought was only reserved for shoes featuring a Zoom Air bag underneath. Resultantly, rear-foot landings feel like running in a board-lasted, die-cut 1980’s EVA shoe. And per-chance if you happen to feel that the heel is cushioned, that’s only because you’re probably landing on its edge, where the midsole tapers to a thinner layer of foam. The fore-foot is responsive, yes, and snapback from the Zoom Air bag will be felt more by forefoot strikers than rear-footers. Yet, it runs firmer than the Elite 6 since the softer, blown-rubber (used on Elite 6’s lateral side) now switches places with regular hard rubber. And yes, the softer Cushlon crash pad of the Elite 6 bids adieu too. White portion is not rubber, but exposed midsole foam. Helps the ZE7 cut down on weight. And don’t read us wrong; a firm ride is not a lesser thing. The rather spartan heel area ends up in good ground feedback, and helps build tempo – something which the Elite 7 is meant for. Nike specifies a 8 mm heel to toe drop, and since the heel area is fairly hard, there should be little difference between unloaded and loaded heel drops. The common design language has a bearing on how the outsole is designed too, with layout and general aesthetics similar to that of the Pegasus. 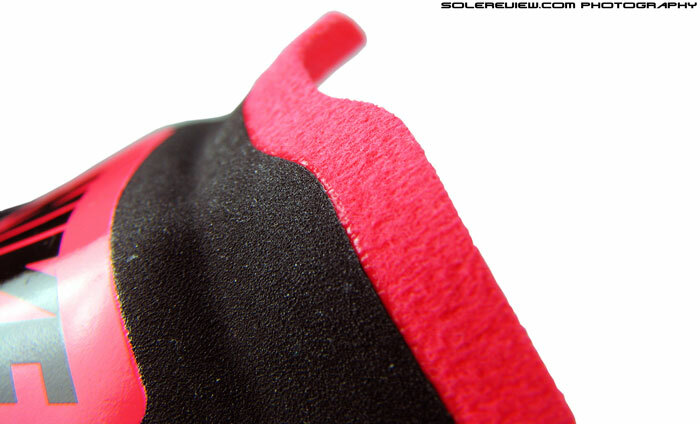 Rubber covers most of the surface save for the medial (inner) side, where there’s an exposed area of midsole foam. This helps cut down the weight of the Elite 7; it weighs in at 289 gms /10.19 Oz for a half pair, which is an achievement for a shoe of its category. There’s a lower number of flex grooves in the front, and when coupled with an internal Zoom bag, you get a stiffer midsole more resistant to bending. The flexibility is in a similar league to the Structure 17 and the Vomero 9, and noticeably less than a Pegasus 31. Crash rails; same as the Pegasus. 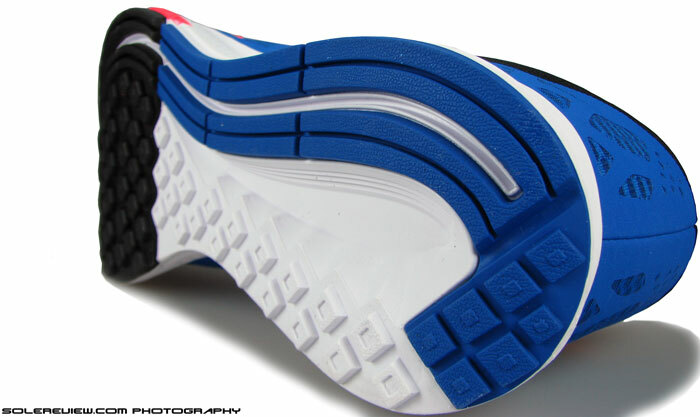 Two parallel strips of rubber on lateral outsole. We have to come to terms with the fact that the days of mid-foot shanks are quickly coming to an end. Instead, most shoes now fill that cavity with foam and rubber, extending the reach of midsole to the ground. The Elite 7 is not exempt from that trend, and the expanse of rubber now runs full length. It also features the ‘crash rail’ outsole structure, which are basically two parallel strips of rubber running along the outer side – meant for transition and marginal stability increase through splaying. Does it work? Hard to say, but one way to put it is that the transition felt good and not lacking in any way, so the crash rail probably figures in the sum of works. Toss the firm ride, outsole design and the forefoot air bags together, and what you get is a ride which converts into forward motion in a very lean, business like way. With none of the mush or motion control variables, the Elite 7 is a good middle ground between a traditional trainer and road racer. Nike likes to use the word ‘push-off’ when talking about the Elite 7’s forefoot Air bag, but in reality, that word should be roll-off. One mentionable positive is that the forefoot Air bag does not feel lumpy like in the Vomero 9, and in all likelihood the reason is not redesign. It’s probably got more to do with consistency of the Zoom Air bag matching the firmness of the midsole foam surrounding it – making it less of stand out density-wise. Collar mesh feels luxurious. Same as used in the Pegasus, Vomero, Flyknit Lunar 2, etc etc. Tongue is gusseted, and attached to the inner sleeve. Inner lining is smooth, and the sockliner adds to the arch support, which happens to be good on the Elite 7. Only the tongue top has a patch of padding. The upper is a curious mix of plush and spartan, and strangely it appears to all add up together. In the back is a soft mesh topped, padded collar which is a straight lift from the Pegasus (and Vomero). 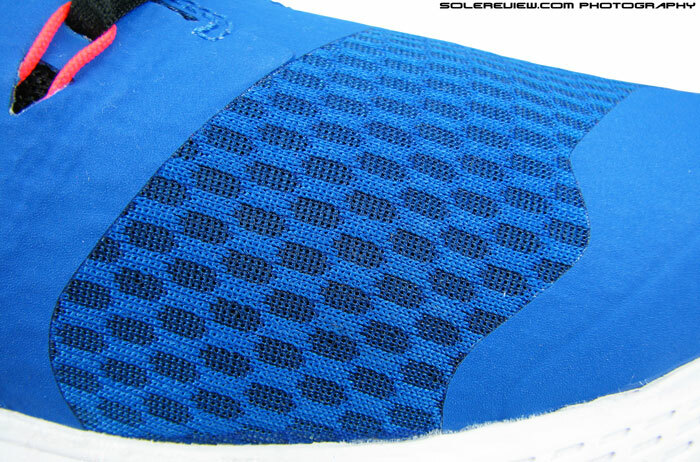 The plush mesh with a soft Achilles dip is an improvement over the Elite 6. 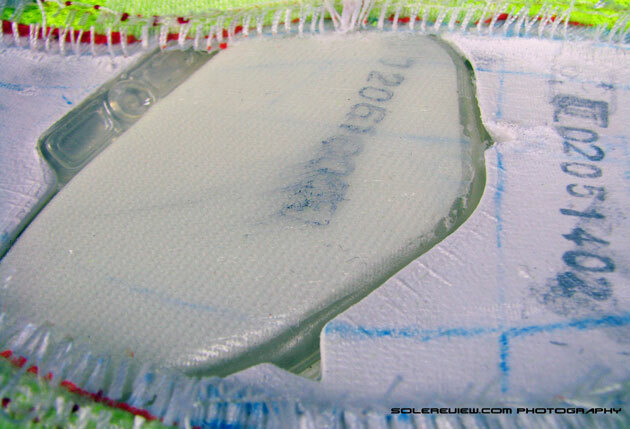 It is connected to a full fledged internal sleeve made of foamed sandwiched mesh, which as you might have already guessed, is part of Pegasus-Elite part sharing program. Top upper mesh is a breathable, single layer type overlaying the sleeve. Mid-foot takes a turn for minimalism, with a near-flat tongue, featuring a small patch of padding only near the lip. In line with rest of 2014 models, Flywire cords are single loop instead of double (better spread), with lacing passing over and through the tongue; a small center loop allow the laces to go under it. The Elite 6 and Nike Free 5.0 used a similar construction, and speaking of which, the mid-foot of Elite and Free do look strikingly similar. Geometric cut-outs on the sides, flat tongue and all that. A Nike regular would also be quick to point out that the layer of fused synthetic on the upper is identical to the one used on the Pegasus and Free 5.0. We talked about the economics of material sharing, and here’s a good example of that in action. The Elite 7 features a huge ‘Television logo’. A huge florescent Nike Swoosh logo covers the lateral side of the upper, and in athletic footwear industry lingo, this is called a ‘Television logo’. Why? Because Nike hopes that some of Zoom Elite 7’s customers, will be, well, elite athletes. They do show up in media often, and when they do, Nike wants to make sure that the logo is seen, either in video or print. Add the Zoom Streak 5, LunarSpider and Zoom Rival to that list too. It also isn’t a coincidence that most of Nike’s baseball, football shoes and some of signature basketball models feature a prominent, TV camera-facing swoosh. This also brings up the topic of visibility (of the non-media type) and sadly, that’s a missing fixture on the Elite 7. The Swoosh is no longer reflective like it was on the Elite 6, and that loss hasn’t been made good by any other part of the shoe. Laces go under the tongue. The tongue tip has a soft, chamois kind of synthetic. Well thought of design. 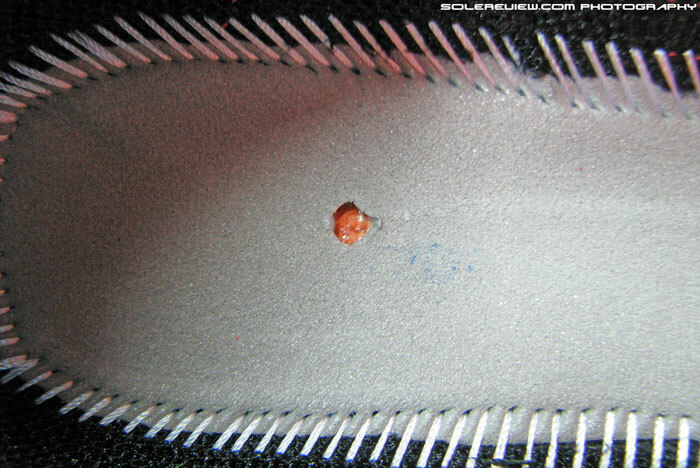 Overall fit is snug, at least the upper area which goes till top of the small toe. Beyond that, there’s some room in the upper curve over your smaller toes, and around 1/3rd of US sizing ahead of the big toe. But for all practical purposes, sizing should be treated as true with a medium thick pair of running ankle socks. Midfoot has a particularly good wrap, with the Flywire, sleeve, asymmetrical lacing and flat tongue coming into play together. Arch support is satisfactory, held up by both the cinching action of the Flywire+sleeve combo and the slightly upwards flare of the midsole. The laces criss-crossing under the tongue lace-loop does not irritate, and we observed that the soft lining material on tongue tip was a thoughtful touch. It rides up soft against the foot, preventing any irritation. Though the forefoot is snug, it still allows room for foot splay. 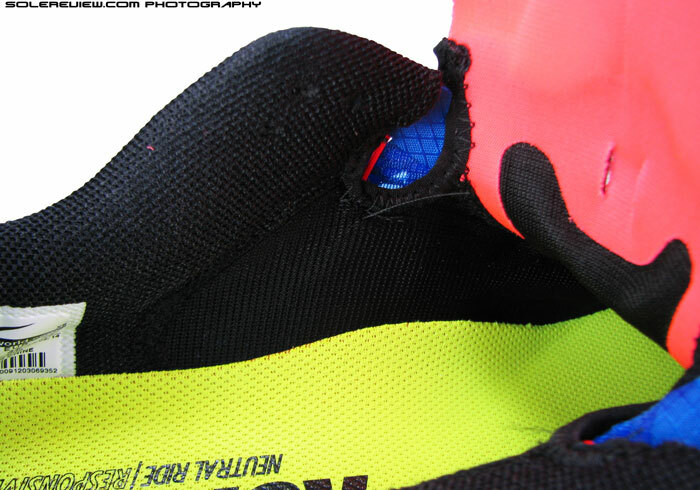 The inner side of the forefoot is left uncovered except for the mesh, so that helps add leeway in foot movement. If there’s something which could be better, that would be the curved overlay at the base of toe box. It isn’t felt at all during speeds, but at snail pace you feel the material bending inwards. Doesn’t cause any pain or anything like that, but you know it’s there. If the tip was shaved off a bit, it would absolutely negate the effects of bend-in. Another thing we’d change (and actually, we did on our pair) is to swap the round laces with flat ones from Nike Free 5.0. With a minimally padded tongue, the quality of top down pressure from flat laces is far better than round ones. 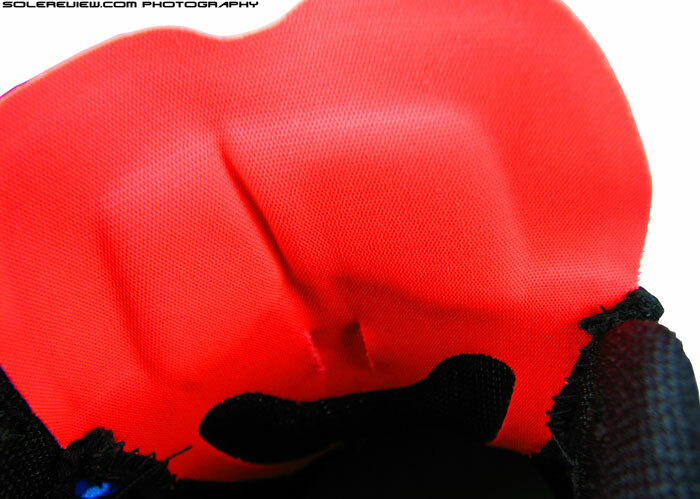 There are also two eyelets placed very close to each other just near the tongue tip, and round laces tend to make that area visibly crowded. Also like to highlight that if you tie the laces with long loops, they tend to smack the sides of the fused synthetic, and the effect is quite audible. Flat (and slightly shorter) laces dispatch that minor annoyance into oblivion. The fit, we should add, is shallow. There’s close-to-none wiggle room above the forefoot, with upper mesh sitting very low and kissing the foot top. In Vomero 8 style, a portion of the synthetic leather toe-box extends over the toe, reducing upward movement. 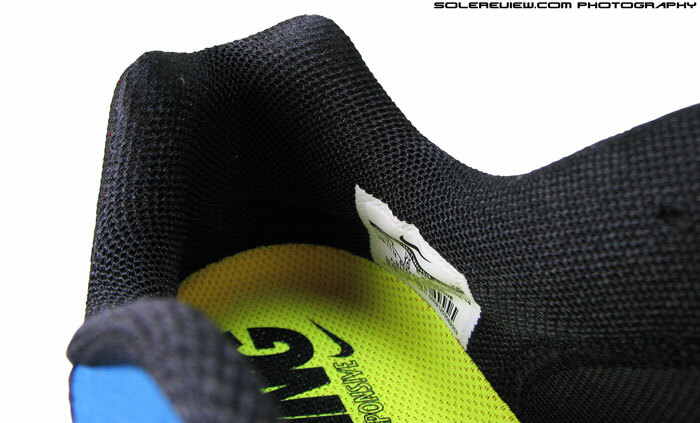 Same sockliner as Pegasus 31, but the right outsole (pictured) bit into the foot, as the arch edge was way too sharp. Haven’t talked about the insole yet, so we’ll quickly come to it. 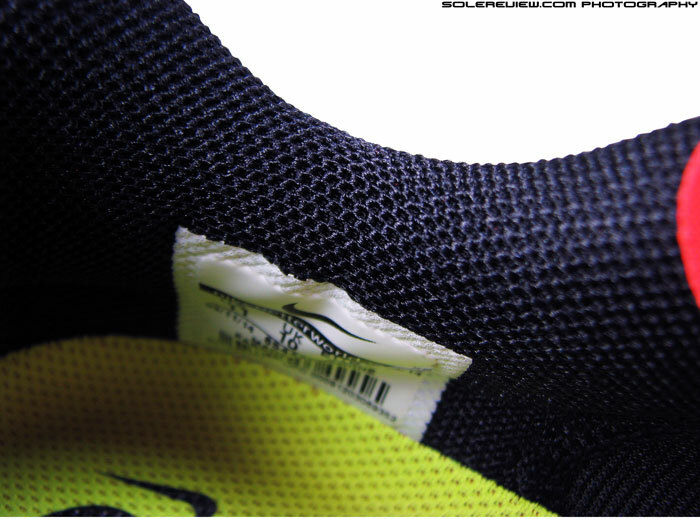 The sock-liner is the same as used in the Pegasus 31 – open-cell foam based which feels a bit like memory foam. It provides an immediacy of cushioning when sitting atop a firm midsole, and while at it, does some arch-support duties too. There’s a problem though; on our left shoe, we felt the sharp edges of the sockliner arch bite into the foot when worn without socks. It was pretty bad, to the extent that we couldn’t wear the Elite 7 without a pair of socks. The issue is how the fabric top cloth bonds with the foam around the edges; it seems that there’s too much pressure applied (during manufacturing) to get the two together. That results in a sharp edge which bites into the side. That dark spot aside, all in all, the Zoom Elite 7 is good value at $110. It’s got a firm ride conducive to building pace, the fit’s great and the outsole grip has a good enough bite. It does away with the relatively chunky heel of the Elite 6, and comes packaged with a sharper sense of function. but I wish you add a total result with real marks like pegasus 31 to decide the best one. Also I go to Nike’s 2014 Zoom Air collection however I can’t decide the best one for long distance. So please if you can make comparison between them. Thanks for calling it out, actually the reason why we left out the scores today is because we are going to add a new scoring mechanism by tomorrow. When you say long distance, do you want a cushioned shoe or something firm? Pegasus would be soft/responsive, while the streak and Elite are much harder overall and stiffer in the forefoot. Sorry to hijack this, but I want to echo what a great job you did with the review! Also, I have a related question. I also run distance, and I’m okay with the cushioning of my current shoe (Flyknit Lunar 2), but tiny bit more wouldn’t hurt. However, I’m a forefoot striker, and I think you said the Elite is better than the Pegasus for that right? In summary, would you suggest the Pegasus to me or the Elite? Hi, thanks for the kind words. We’ve actually left some details out in the Elite 7 review (more pictures and our brand ‘sensory scoring’ system) so you should see an update within 24 hours. The Pegasus and Elite both work for forefoot strikers. The Pegasus is softer (in the forefoot), more flexible. The Elite 7 is stiffer, yet the cushioning is more taut/responsive. The stiffer forefoot helps quicker rolls during faster runs. We’d pick the Pegasus if you’re not worried about pace. Otherwise for building tempo, it’s the much firmer Elite. Updated the review with the regular summary and the new sensory scorecard! I have been anticipating this review since getting these shoes last week. I am amazed at how spot on your review is. Pretty much everything you described matches my thoughts. I usually run in the energy boost esm, but figured I would give these a try for a more responsive alternative. So far so good! Keep up the good work guys. It’s nice having an unbiased resource like this. Plus, as an employee in a specialty running shop, I feel like my shoe knowledge has improved dramatically since discovering your website last week. Hi Sean! Are these shoes available in stores yet or just online from Nike? I would like to try these and the pegasus on before buying! Yes, available in stores, though it depends from location to location! What store specifically (for example)? I’m in the Washington DC area..
Fleet Feet DC could be a good place to start. We’ve noticed that they (Fleet feet chain) have the shortest gap between online and offline retail when it comes to availability. But call before you go! Sorry to have kept you waiting (for the review)! We had these lying around since last month, but had to do due diligence on wear-test mileage. By the way, we’ve popped in the first protoype of our new “sensory scoring” system which rates individual parts/section of each shoe. Scroll to top of this review, you’ll see it there. Let us know what you think – will be useful to hear your perspective, since you talk to running customers every day. what about durability (even compared to pegs 31) ? How this version compares with the 5? It was by far one of the best shoes I’ve worn for training/racing. Very different shoe from the Elite 5 – in the heel (feels far less chunkier and lower) and how the upper feels (we liked the 5’s dynamic support straps better). Also rides firmer overall. You’ll have to do a fit test – at the very least – to come to a judgement. Thanks, I’ll do that, don’t like ultra firm shoes and loved the ride of the 5. If you end up trying the Elite 7’s at the store, would be nice to hear your first impressions. Would be helpful for others reading this review, thanks! Forgot to mention: had 2 Elite 5’s and they suffered from the same problem: the sole unglued after roughly 2 years of service (not sure how many miles). Same stuff with the Peg 28. Thanks for the feedback .Long term durability is one thing our reviews don’t cover due to the sheer number of shoes being tested. Good review as always! So the Peg31 gets better score meaning it’s better right? I train 30-40 miles a week, and try to maintain at a minimum of 7-8 min/mile (not that fast I know). Peg31 is a no brainer right? Thanks! The Pegasus is definitely more comfortable, can’t wrong with that. We started including a new sensory scoring mechanism, which breaks down different parts of the shoe, and scores them accordingly. Have a look at that (top of review), that might also be helpful for you to decide. Thanks! The sensory scoring is nice, but since the Peg31 doesn’t have its hard for me to compare. I see below that you mentioned to someone that the Elite is better than Peg31 at pacing? Does that mean for me (30-40 mil/wk @ 7-8 min/mil) the Peg31 will be worse than Elite? Is is noticeably worse? Thanks in advance for clarification. Since you asked – we’ve updated the Pegasus 31 review with Sensory scoring 🙂 Hope you find the information helpful! We just find that firmer shoes with lower drop feel better for pacing, and the Pegasus rides soft, that’s all. It’s not noticeably worse, or anything like that. 7-8 min mile is not fast at all, so the Pegasus will do just fine. Let’s put it this way – if we were in your ‘shoes’, we’d pick the Peg – just because it is way more comfortable. We suggest you should try them on at your local running store and assess what your own first impressions are. You’ll notice that the Pegasus has a more easy going upper fit and a softer heel than the Elite. You’re welcome. We’d be interested to know your feedback as you get to spend more time on those shoes. Have a good one! I make the following comments with respect. – Also, like the summary of Pros/Cons at the top like in other reviews. I commented in the Vomero 9 review about the 9’s terrible breathability. What type of upper material/construction offers the best breathability ? Flexibility is also a concern. Thanks for a superb site. – We’ll change the way data is presented in sensory scoring, in a way which is easier to read. For breathability, any shoe mesh which does not have a lining (Saucony Ride 7, Adios Boost) and has a spacer structure (open pores) performs better. Flexibility is always good if these three elements come together. – The forefoot is thin, and has a soft to medium soft foam material. a) Hard to notice at first glance, but you’ll see that we have tweaked the colors and green section of the sensory scorecard to make it more eye friendly. The Zoom Elite 7 review does not have this updation, but more recent reviews have these changes. The Sensory scorecard also expands into a higher resolution image once you click on them – just in case you need to see it larger. b) Started including pro/cons for the past few reviews. So I am going to be running in college in the next month and have to switch into nike running shoes. I currently run in the neutral brooks pure flow and have been comparing the nike elites here and the Pegasus. The thing that looks good to me about the elites versus the pegasus is the 8mm heel to toe drop being less the the pegasus’s 10mm drop. Any suggestions? The 2mm difference between the Elite and Pegasus isn’t a big deal. Why? Because those are unloaded heel drops quoted by Nike, without actual body weight applied on the shoes. Since the Pegasus is way softer than the Elite, we think that the effective ‘loaded’ heel drop for both the shoes will be the same during each foot-strike. Look at the shoes from a fit and ride perspective. The Elite runs snugger (upper) and firmer (sole) while the Pegasus is more relaxed (upper) and softer (ride). That said, the Elite feels closer to the Pure flow than the Pegasus in fit and feel. Are you running track or XC? This was my first visit to your site. Thank you for your extremely informative reviews of the Zoom Elite 7 and the Pegasus 31. A few years ago I was diagnosed with posterior tibial tendonitis and eventually had to stop running for a few months. When I started back I tried many many different shoes (10 maybe 12 ranging in price from 150 – 200) trying to overcome the pain in the tendon under the inside of ankle bone. Reading a review on Zoom Elite 6 I gave it a try and it was perfect for my foot. It has become my all time favorite running shoe, I love the firmness of the arch and it seems to hit perfectly right under the highest part of my arch. Is the arch in the 7 the same as the 6? I am confused by the Pegasus review as I never considered arch support separately from the upper shoe and the sole. How can the upper offer good arch support and not the sole? Why would you have one without the other? Wow! Nice review. I’m a recreational runner and had never considered all of the factors you address. A question: I run varying distances (3 to 10 slow miles) on the beautiful bark chip trails of Eugene. Which shoe would be better, in your opinion, for that kind of duty (dusty/dirty, soft, sometimes uneven trail)? If you’re running on a soft chip trail (lucky you), you can run in the Elite 7 if you like. The mesh is closed so won’t much dust in. If you want to play safe , there’s always something like the Zoom Wildhorse 2. I feel like the pegs are more of a everyday shoe because it is extremely comfortable, and pretty colorways. I bought both the elite 7 after running on the tread mil at a local nike town, it feels much faster than the pegs. But im thinking about returning the pegs. You’ve summed it well. The Elite 7 is definitely faster than the Peg. ( I have recently been told I need neutral shoes so that is why I am switching types). I am a forefoot striker. Thanks for your awesome website, great reviews, and your help. Thank you for writing in, Ethan. We’d pick the Zoom Elite 7, just feels more suited for tempo/speed workouts. Awesome thanks so much, but I still have one concern. How does the cushioning in the zoom elite 7 compare to the cushioning in the structure 17? My structures feel to hard and are almost uncomfortable. They don’t feel like really any cushion at all. If you are referring to how soft the Elite 7’s are, they aren’t much. In that case, you’re better off with the Pegasus, way more squish than the Elite 7 and Structure 17 – both in heel and forefoot. Cool thanks a ton. Think I will go with the pegs because I have some MV3 I can use for real fast stuff. No problem, glad we could help! You could refer to our ‘sensory score’ graph (top of review) to track the behavior of different shoe elements. If you have any questions, drop a comment anywhere on the site. We reply within 24 hours! Hi, great review, super detailed. I’m long distance runner, currently training for my first marathon, but beside that I just enjoy long runs (20K minimum, up to 40K on Sunday) I’ve been running on the Pegasus 29 and 30 and will call it “my shoe” (I tried Flyknit Lunar 1, it was nice but went back to the Pegasus 30 because it was too soft and felt that took more energy from me). I needed to get new shoes and because the buzz and great reviews from the ZE7 decided to try, it feels complete different but not necessarily bad but need to get use for sure, the main question is, would you recommend it for long runs? Should I keep trying them to get used to them or just stick with the Pegasus and get the 31s even when this new version seems to be stiffer than the previos one? If you have been running long distances in the Pegasus and have a happy face to show for it, then why change the formula? The Pegasus 31 runs slightly firmer than the 30, yet far softer than the Zoom Elite. One way to look at the picture is that the Pegasus 31 sits somewhere your old favorite (29/30) and the ZE7. The new Pegasus still has a cushioned ride, but runs ‘leaner’. Hi, awesome review! Do you think that the Pegasus 31 would work well for speed work (400m sprint intervals)? Hey thanks! On synthetic track, we felt that the Pegasus 31 wasn’t at its best doing sprint intervals. How about considering the Zoom Streak 5 or the Adidas Adizero Adios 2 Boost? Hey, amazing review! I’m a long distance runner, currently looking for new shoes. My Adidas Supernova Glide 6’s are great, but after 10 months of wear they’re starting to give me blisters. I’d like something lighter, that I could use for both track sessions and long runs. What would you guys recommend? I’m a forefoot striker with a normal arc, if that helps. The Nike Zoom Streak 5 might be something for you to consider. Great distance flat, and runs well on tracks. Also look at the Adidas Boston Boost and Adios Boost 2. I was just looking at those, thanks! Big fan of the site – keep it up! I bought a pair of Nike Elite 7’s a month back to use in training for a couple upcoming half marathons. I immediately noticed some cramping/pain on the forward outside section of my right foot, but figured this would go away as I wore the shoe in. No such luck. The shoes serve me pretty well up until about six miles into a race. I run much faster than I do in my Nike Frees. After that point, the pain becomes noticeable, and at around the ten mile mark I need to practically crawl off to the side of the road. I don’t have wide feet, and a soon as I take the shoe off the pain dissipates. I went in to the Nike store today, and one of their salespeople who’s also been running in the Elites has had a similar problem. He speculated that they are probably designed more for shorter faster runs than 10+ mile runs. Any idea/thoughts what could be causing this? Thanks! Thank you for the comment, and sorry for the delay in replying! Not quite sure what might be causing it. It did not flare up during our 10+ mile wear-tests. Where exact is the pain on the foot? Is it on the upper portion or below the smaller toes? The pain starts on the outside side of my foot (around the arch area) and radiates towards the toes. I find that after a couple miles of this my natural inclination is to curl my toes in order to keep going. I thought this might be because the shoe is a bit narrow, but I don’t have wide feet. I’ve been running in Nike Free 5.0’s for the past few months, which might account for some of the difficulty in transitioning to a more cushioned shoe, especially given the from cushioning in the case of the Elite? I’m ideally trying to transition away to a more cushioned shoe for longer distances – half-marathons – because of some minor knee issues, but perhaps this was a bad idea… Never had this problem in the Frees. That said, I am running much faster over distances up to six miles than I was in the Frees. Perhaps the sales clerk at Nike was right to say the Elites are intended more for running faster over shorter distances… Thanks again for your time! How about trying this – skip lacing through the Flywire loops and just use the upper eyelets which are punched into the leather. Give this a shot to see if it makes a difference. Since the pain starts only after putting a certain amount of miles into the run, you can stop as soon as you experience the pain (if again). Don’t think the transition (Free to Elite) is an issue – in such cases there is only soreness and no pain, which are two different things. I ran a half marathon yesterday in my old pair of Brooks GTS 14’s. No problems! PR of 1:40, in fact 🙂 So I think I’ll just stick with those, and use the Elite’s for shorter runs. Thanks for all the advice though! Much Appreciated! Great to hear that! We loved the GTS 14’s – awesome all rounder. Great Review and really helpful. i need a new pair of shoes and are looking at both elites and pegasus, i will be using these shoes for most of my mileage like warm up/cool down and long runs and easy runs. I am doing around 70 miles a week and was wondering out of these two shoes which one would be better to do the mileage in. i am a midfoot strike runner if that makes a difference?. (as Airbag is in heel in Pegs where Airbag is in midfoot in the elites) Thanks Heaps! No, neither is inferior with regards to forefoot behavior. Both (Elite and Peg) shoes work well. Long and easy runs? We’d bet on the Pegasus 31. I’m a heavier runner (100kg / 220lbs) looking for a shoe to build back up to 10k races and perhaps the Gold Coast marathon. I’m a forefoot striker with a fairly efficient gait, high arches, and oh so slight pronationation (but a podiatrist said my form compensates well for it), I’ve tried stability shoes at the recommendation of a local store but it lead to ITBS problems, then I tried a few neutral shoes: Nimbus 16 (too soft and heavy), Energy Boost 2 ESM (too narrow) and the Hoka Clifton (too soft). I love the firm cushioning of the Hoka Conquest, but again it is a little too narrow. I also tried on a pair of Elite 7’s at my local store and am very tempted to grab them. Do you think they would be ok to build back up to long runs? Or should I try the Nike Free 5.0 (as I previously loved the Nike Free Run 2)? While we can’t be absolutely certain, the Elite 7 might be something you could try. The firm forefoot with its Zoom Air placement could do the trick. As a general guideline, the shoes do well for 10k runs, though we just had a reader comment that he wasn’t happy doing long runs with them. The Free 5.0 isn’t perfect, as there are some upper elements which poke in during motion. I just discovered your site today and I’m thrilled with the detail of the reviews. Have you ever considered noting comparable shoes or competitive options in the final rating? Glad to hear that! We include an ‘Also see’ section in our summary at the top, is that what you were referring to? I’m thinking more along the lines of, ‘This shoe is similar to [such and such shoe].’ or a specific such as, “The level of cushioning in this shoe is comparable to [such and such shoe].’ Also would love to see, ‘In this category, other options are [some other shoes].’ Those sort of comparisons wouldn’t detract from the neutral tone of the reviews and would probably help consumers get an even better sense of the reviewed models. The work you’re doing is already awesome, but I’m such a running geek I want even more depth! Gotcha! We take feedback very seriously, so we’ll see what we can do. The detail devils we are, this needs to be done nicely if we choose to. Thanks! Meanwhile, you could refer to our ‘Sensory scoring’ system to get a sense of attributes across shoes. I’m currently doing most of my mileage in the nike zoom elite 6 (long runs, easy, tempos). Would the zoom elite 7 be good for this as well? The Zoom Elite feels much firmer than the 6 , so not sure how you’ll like the difference. Try them on at the store, and we also think the Pegasus 31 and Zoom Streak 5 are worth a try. My dad is just starting to run (he’s over 50) and I want to find the best comfortable/supportive shoes. I have looked at the Lunar glide 6 and now the nike air zoom elite 7. Which one would be better or if one is bad in general for beginner runners? He goes up and down cement stairs but should be running on the street soon enough. We’d pick the Lunarglide 6 over the Elite. Reason being that LG6 feels more comfortable when it comes to ride quality. The Saucony Ride 7 is another great option too. I almost missed my chair when I went to sit down and saw your response lol. You guys reply quick! Thanks. I have lunarlon on my nikes and i run with them all the time. They do seem more cushiony. Well, not all is lost. There’s always the return policy to fall back on – in case your dad doesn’t find the LE4 to his liking. Looking for a training shoe/ workout show for indoor workouts on turf. I would also wear them for walking around and all that goodness. I hate how training shoes do not offer enough support. Would you suggest the structure 18 or zoom elite 7? Would suggest the Structure 18, the upper is more comfortable than the Elite, which makes it more suited for general purpose use. And your workouts, of course. Hello, I am a cross country runner, and I’m looking for a new pair of trainers. I’m currently looking at quite a few different shoes. I’m looking at the zoom elite 7’s, the pegasus 31’s, the cumulus 16’s, nimbus 16s, flyknit lunar2’s, kinvara 5, or the energy boost 2’s. Which one would you recommend? By the way, the season ends in about 2 weeks, so after that I will be running about 35-40 miles a week, only on the weekdays, to build up endurance, and there will probably be no speed workouts. Which shoe would you recommend? Out of the list, we’d choose the Energy Boost 2. Thanks for the feedback – yes, planning to catch the next XC and Track season in spring, so looking to start these reviews in January. Where or which sites do you get to read reviews for XC shoes currently? I dont see many sites that so this, so it would be really useful. Often times it’s just reddit, youtube, or the actual retail site, but those reviews aren’t very useful. I would really appreciate in depth reviews like these for racing shoes. Thanks – got it, was looking for such sites ourselves and couldn’t find any, so thought to ask you. Will start from January, and evolve the reviews from there on. Other than the Energy boost 2, which ones would you recommend? I’m debating whether or spend that much, and if I decide not to, I would like to know my second best option. The Flyknit Lunar 2 is an alternative if softer cushioning does it for you. Or the Cumulus if you want something slightly firmer, but yet well padded. Did not recommend the Kinvara, because durability is slightly lower. At 35-40 miles a week, you’d chew them up before the next XC season. Otherwise, we also think a lower heel to toe drop shoes make a good XC or track trainer as they help easier transition into raceday shoes. What low drop shoes would you recommend? If you’re open to Hoka, then the Clifton is a good shoe for those long runs. A lower drop and more firmness? Then it is the Huaka. Else, you’ve got the Brooks Pureproject series which has a fit similar to raceday shoes, yet with decent levels of cushioning. Whether that shoe happens to be the Flow/Connect/Cadence, you’d need to try them on first. I have ran “competitive” since the original Nike Waffle (yellow with blue swoosh) and have coached for 30+ years and wanted to say how impressed I am with your reviews especially the technical details such as cut-out views of the shoe structures. I have always found sneakers were a lot of “trial & error” and suggesting sneakers to others was difficult. Your reviews from my point of view are AMAZING!! your now on my favorites and instead of suggesting sneakers to my training friends and athletes I will be suggesting your reviews. I still d0 40-50km weekly and was a “cushion junky” volmero fan until the last morphing and like both the 2014 Boost Glide and older Pegasus. Based on your Pegasus 31 review I feel I know they worth giving a try and should not be as different as the ads would have me thinking. Great to have you here, and hope you’ll be a regular like many of our readers – sharing your experience(s) should help us and others too. Very happy to hear you like reading our reviews. Speaking of Pegasus, the 31 runs firmer than 30, so try them on at the store first before buying. i wear Nike air Zoom Elite . I bought 5 pairs some time ago as I liked them so much . All are now worn out . The Zoom Air Elite are now not available . Where do I go from here ? Hard to suggest, the earlier Elites felt so different. Nike has moved into an entirely new direction now. How about e-Bay, nothing there? First of all what a great reviews. I have been running on the zoom elite 5 and enjoyed the ride and weight very much. Now that I have to buy myself a new pair running shoes. As the new elite seem to be completly different what would be the best choice. Thank you for the comment, Giuseppe. That question is a hard one to answer, as no current shoe matches the older Elite’s character. We’ll keep an eye out and get back to you if we come across a suitable alternative. Thxs, what do you think about the wave rider 18 , as an alternative. The Rider 18 is a great shoe, but still very different from the Elite 5. You’ll need to try them on to judge – our take is that it has great transition, firm ride, roomy forefoot and lots of support. Hey, thanks for dropping by. Also try the Mizuno Wave Sayonara 2, adidas Boston Boost. Otherwise ZE7 is good too! How would the flexablility compare to the peg 31? The forefoot rankings also seem to be the same but does one feel more cushioned than the other since the zoom air bags are located in different spots? Note from moderator: You have been banned from further comment postings on solereview. There is zero tolerance for abusive behavior here – we are referring to your now deleted comment (under a different username) on the Flyknit 4.0 review. Do you recommend the elite 7’s for sprint work as well as mid distance running? Sprints would take place on a synthetic track. Thanks. They run average on synthetic tracks, be it sprint or middle distance. We’d choose something like the Zoom Streak LT2 or Lunaspider R5. Hi, thanks for your prompt response. In your opinion, do the LT2’s perform better on a track than the zoom streak 5’s for sprinting and mid distance? The upper doesn’t make so much of a difference, but we feel the LT2 to have better grip on track, and more surface feedback. We like that on track workouts. Thanks again. I just have one last question. In the LT2 are the insoles removable? 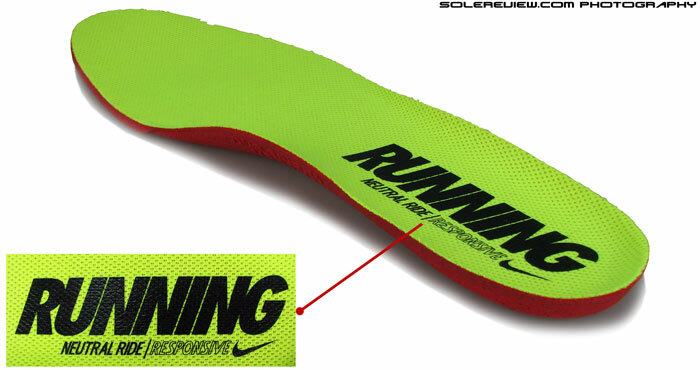 I usually use custom insoles with my training shoes? They are semi-removable, like the Streak 5. It depends on what custom insoles you’re planning to put inside. Ideally they should be the same shape so they don’t alter the fit too much. Thank you so much for the descriptive review! I really appreciated the depth–it’s so helpful when buying shoes online without being able to try them on (or even trying shoes on but not running in them). I’m deciding between this Air Zoom Elite 7 and the Pegasus 31. I’m currently in a pair of Lunar-somethings, but those are getting really old. I’m 5’2″ and about 125 pounds, female, and overpronate. I’m in my 20s but sometimes my knees do hurt after a run, so I think more cushioning for me might be better. I run anywhere from 2-4x/week, usually around 2 miles each time either on a treadmill, concrete, or asphalt. Based on your reviews and my Google research, it sounds as if a firm ride isn’t really ideal for overpronators, which suggests to me that I might be more comfortable in the Pegasus? Oh–I forgot to mention that although currently I do about 2 miles each time I run, I’m trying to build up my mileage; I now sometimes do 3 miles/run, eventually I hope to get up to 4-6. Firm just means that there’s less ‘give’ when your weight sinks on the midsole. Simply the opposite of soft. Responsive refers to the property of material to rebound or springback. Just a word to describe a material ‘responding’ to your footstrike. 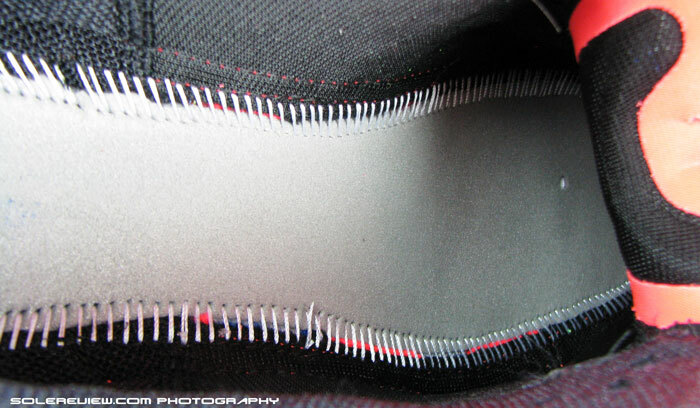 In a shoe’s case, the Zoom Air bag is ‘responsive’ because it yields a springback sensation once you step on them. At times, firm and responsive are mutually inclusive traits. 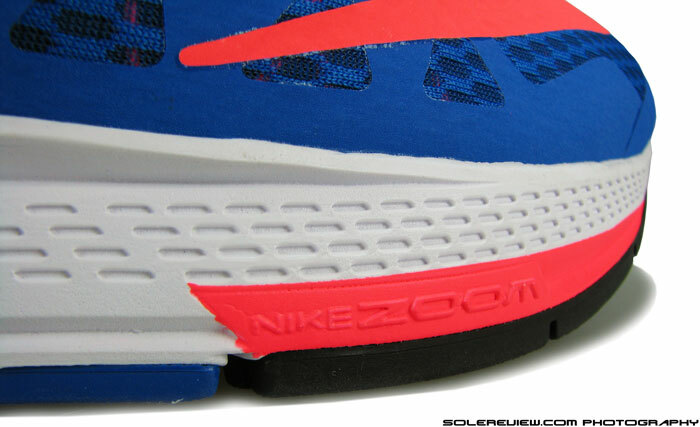 We would also like to suggest the Zoom Structure 18, which is somewhere between Elite 7’s and Pegasus’s ride. If your knees are paining, it might or might not be because of the shoes. We think strengthening your Quad, Hamstrings and Glutes in upper leg (along with Calves/Achille stretches) will help move the load away from the knees. What shoes(other than Vibram) have you run in before, and which did you like the most? Sketchers go run ride 2, though I didn’t like it’s durability. So im looking for a daily trainer which is durable and has min to mod support. Thanks BTW. Sorry for the delayed reply. Assuming that you prefer low heel to toe drop shoes. In that case, the 4mm drop Nike Lunarlaunch, the New Balance Fresh Foam Zante (not widely available yet), Fresh Foam 980 (firm ride) and Kinvara 5 (forefoot slightly less durable) make for good options. Thank you for the above suggestions.How about the ride 7? I currently run with the saucony a6, I’m considering ride 7 as a part of my rotation of shoes. How’s the ride of saucony r7 compared to sketchers grr2? The Ride 7 feels more responsive in cushioning than the GRR, and the upper feels plusher (especially around the collar). 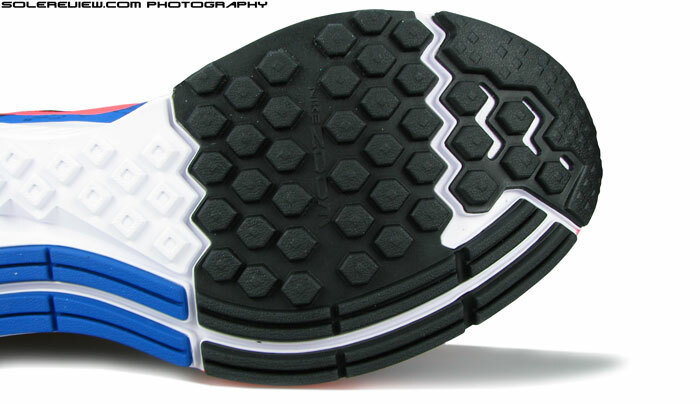 It will last longer too, as Ride 7 comes with lots of outsole rubber. Hi, I do a lot of long runs(7-10mi) @ 7:00 pace an about 45 mpw. Do you think the elites or the pegasus 31 would be a better option? Which one has a better ride for forefoot runners? I am not concerned too much with the durability but I am training for track season and I need something that will be my go-to shoe. I am also looking forward to the adidas tempo boost if that would also be a good option? Thank you for your awesome reviews! To make it a little clearer, I am not running intervals or doing much speed training but I am just getting in some preseason mileage at a pace that I am not sure if the pegasus would be right for but I am not sure if the elites are good for the long runs. If you’re going to be running track, then the Elite is a good accompanying trainer. The forefoot is firm, yet there is Zoom Air to make things slightly responsive. Pegasus on the other hand, is a soft shoe. Very comfortable, but feels less ‘economical’ than Elite when trying to pace up. Other than these, would recommend the Supernova Glide Boost, Boston Boost, Nike Lunarlaunch (4mm drop with nice upper, but a little soft, though), Mizuno Wave Sayonara 2 (roomy forefoot, firm ride), and even the Kinvara 5. We haven’t got our hands on the Tempo Boost, so don’t have an opinion on them yet. Of course, you need to try them out first to get a good feel of how the upper fits. Love the site. Very detailed and informing! So i’m a fairly light runner… no more than 10 miles a week tops and have been running in roshe runs since there release. I usually run about 3-4 miles per run with a split time of about 7-8 minutes. Would these be a good fit? Sure, for 10 miles a week, not a problem. You should also consider the Nike Pegasus 31, which is a little softer, and will be a good bridge from your Roshe Runs. Those are casual sneakers by the way 🙂 Not that you can’t run in them, but not the best tool of choice. Hi im just a casual runner who runs just to stay in shape and fit. Would these be good for casual use and some running from time to time or would the Nike Air Pegasus 83/30 be better? Go for shoes like Pegasus 31 or Saucony Ride 7. Depends on your personal preferences. You mentioned Pegasus, so why not buy the 31 instead? Hello, I have had an ACL tear and had surgery for it… Just starting to get back to boxing training and running now. Which shoes would you recommend? Are you going to be using the shoes in the gym too, or is this going to be purely use outdoors? Possibly yeah… For both outdoor running and boxing training. I’ve also noticed a lateral (outside) wear-pattern on heels of all my shoes if that has any significance. Out of the Zoom Fly and Elite, we’d pick the ZE-7. The upper on Zoom Fly isn’t great. so i run long distance for my highschool xc and track team. I have been running fairly minimalist for the past 2 years between vivobarefoot, vibram, inov-8 but have been inching into nikes here and there due to some nagging injuries. Indoor track season tends to mess with my it band so i need a shoe with more cushoning, looking between the elite 7, peg 31, and free 5.0 any suggestions? Past nikes being mayfly, flyknit racer, and flyknit 4.0. I run with a midfoot/forefoot strike. Also I run between 20-30 miles a week and do the 400-3200m events. thanks! Out of the three, Pegasus is the most cushioned, but have a nagging feeling that it will slow you down. Have you tried the Lunaracer 3 yet? That shoe is super lightweight, fits snugly like a flat, and has the cushioning to go. There is also a shoe called the Lunar Tempo to be released this month, and while we haven’t tested them, they look promising. Thanks for the response!I have looked at the lunar racer occasionally only to be scared away because of it looking like it would wear away pretty quickly. Is the durability something I would have to worry about? In that case, Pegasus would prove to much more durable than the LR-3. Also consider the Nike Lunar Launch too. Bunions at the base of big toe? 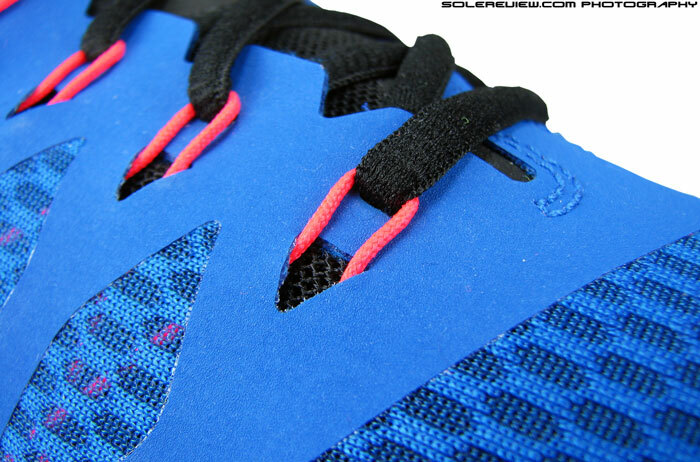 The ZE7 is not recommended, the upper forefoot is snug and will put pressure. What shoes are you running in currently, and are they working out for you? Hey guys! I absolutely love your reviews! Best running resource out there! I love the pegasus 30, like the 31 however my toenail bed is a little irritated by them being a little narrow. Are the elite’s any wider in the toe box? I hope my feet adjust to the peg 31 because I really like the pegasus model but my big toe may say otherwise! Thanks and keep up the good work! No, if anything, then the ZE7 has a narrower forefoot than Pegasus 31. Toe box height is more or less the same. The Nike structure 18 is great for me, would NIKE zoom elite 7 be perfect too??? Hard to reply based on a general impression. What are the things about Structure 18 you like? I am an active middle distance runner and wants to try some new running shoes. The last shoes I had was the nike flyknit lunar 2 and I loved them! I am going to use the new shoes on 1 hour workouts in 7 minute/mile pace. Do you think the zoom elite is right shoes for me? If you liked the Flyknit Lunar 2, why don’t you buy the Lunar 3’s, they are just out! The Zoom Elite is much firmer than the Flyknit and snugger too. Hi I am female 5ft 7in and around 126lbs. For the past year I have ran in Pegasus 30 shoes and used them for everything from speedwork and 5k races (currently around 20 mins) to my long runs and marathon (April 2014 was 3hrs 14m). I have tried Flyknits for the faster stuff and Brookes ghost7 for the longer, but preferred the Peg 30s, (although I do find them a little soft). I can’t find anymore Peg 30s online in my size (UK 7) so I’m now looking at the Elite 7s and the Peg 31s. I am wondering what you would recommend for me please? One of these or something different? I am a mid to forefoot striker, with normal arches (as far as I know) and neutral gait. My current focus is training for and running in the Paris and London marathons in April, so ideally I’m looking for a shoe I could get used to in training, and then race in (and hopefully get a PB). First off, your 5K timings are impressive, and marathon wraps are great too! The Pegasus 31 runs a little firmer than the 30, and the Zoom Elite 7 is super firm comparatively. So if you found the Pegasus 30 a little soft and want something firmer, than the Peg 31 should do it. Alternatively, we also recommend that you try the adidas Supernova Glide 6 or 7 Boost. Not too soft, neither too firm. Just right amount of cushioning. Hi! I am looking for a new pair of running shoes. I’m Female and I run pretty much in all types of conditions but mainly on road or on the track. I’ve had the flyknit lunars from Nike and liked them for longer runs and weight training but have found them to not give enough traction and support when doing high paced runs on the track. Now I’m looking for a shoe that can give stability to my pretty narrow feet that often wiggled around in the lunars. I’m not sure if Nike is the best brand since many people tell me their shoes never give a lot of support but I like the brand in general and would expect them to sell at least one shoe that gives enough support for high paced runs on the track. What do you think? Is the Nike elite or in general Nike stable enough for what I am looking for? Or should I go for a different brand, most people on my track team have ascics, could you recommend an ascics shoe that would fit my needs? Thanks in advance, I hope to hear back:)! Have you considered shoes such as the Nike Zoom Streak 5? The low-to-the-ground model is suitable for fast training runs, on road or track. If you need more cushioning, the Nike Lunaracer 3 is another alternative. There’s a new shoe called the Lunar Tempo (or Trainer), but we haven’t had the opportunity to test them yet. We don’t have much experience with Asics flats, though we have heard good things about models such as the Hyperspeed. We’re very impressed by some adidas models such as the adios 2 Boost, which performs excellently on track and road. Hi, I’m looking to buy a new pairs of Nike shoes, My pegasus 31 have done their time, time to replace same. I love them. I run mostly 10k (48 minutes) , and train road and dirt road and also training long distance (2hrs run). my weight is 112 lbs, and 5.6 height. At the end of the month I’m planning my first half marathon. I was thinking about the zoom elite 7 or maybe the vomero or simply buying a new pair of pegaus. What is your opinion and what do you recommend me . If you’ve loved the Pegasus 31, then it’s a good idea to stick to them. The Elite 7 is much firmer and snugger, and we don’t have any miles on the Vomero 10 to provide an opinion. I’ve tried the Structure 18 as well, and while it provides motion control (too much), the shoe’s arch doesn’t come up very high, which causes my arch to collapse and rebound each step, again causing pain. It’s an unusual combination, but I’m looking for a shoe that offers a high arch, but also some motion control. Do you have any suggestions? Thank you!! Hmm…have you tried the Brooks Transcend? The other method is to buy foam ‘arch cookies’ and stick them under the arch area of the insole in whatever shoe you’re wearing. Mind? Not at all! We love you for doing so, thank you so much!! Nike’s sizing can vary shoe to shoe and how do these compare to shoes like their lunar glide 5’s? Do they run larger or smaller? Also, would these shoes be good for sprinting (<400 m) workouts and / or hill workouts? And how do they fair on the grass? indoor/outdoor track surface? These feel half a size smaller than the Lunarglide 5 because of its relatively pointy toe-box and the synthetic toe bumper. The Zoom Elite 7 works for sprints, but you’re better off in the Zoom Streak 5 or Lunaracer 3 (they run narrower than the ZE7). The Elite does well on gradients/hills. Haven’t tested the shoe on grass so can’t comment. We’ve tested the shoe on an outdoor track too, and our comment about the Streak 5 and Lunaracer 3 applies here as well. Hi, I’m a forefoot striker, and I’ve been running with the Pegasus 31 for the last months. Great shoe, but I felt lack of cushioning in the part where I need it the most. Is there a shoe (within the same brand) more suited for my case? The Nike Zoom Vomero 10 sounds like your kind of shoe! Hi, I’m a forefoot striker, and I’ve been running in the Pegasus 31 for a while. I weigh 112 pounds (50-ish kg). I would like something neutral but it can be a bit motion-control. Would these be good for me, or can you point me in the right direction? The adidas Supernova Glide 7 Boost is a good in-between, and if you need more support, then the adidas Sequence 7 Boost is an option. Would these be a good shoe for a forefoot/midfoot striker? Yes, these work well for all foot-strike types. Louise, the Elite 7 will feel too firm/hard when coming from the Pegasus 30. Instead, you could try shoes such as the Pegasus 31, Vomero 10 and the New Balance 1080 V5. The Pegasus 31 is a step down from the 30 in terms of toe box space (shallower) and overall softness of cushioning (lower than 30). That is why we recommended the NB 1080 V5 and Vomero 10 as alternatives. I wear the Saucony Rides but need nike shoes for my college team sponsorship and feel like the Pegasus 31 look like spaceships. Any advice if these would work? These are much firmer compared to the Saucony Ride, so whether you find the Elites to your liking is purely subjective. The Pegasus is a closer match to the Ride. Hello! I am a female who runs about 6 miles a day (trying to get further each run!) on a ‘hilly’ trail in a park. I need new sneaks as my Nike Dual Fusions have been exhausted! I am in love with the Zoom Elite 7s but am not sure that they would be appropriate for my type of running? I have tried them on and they are more snug than I am used to – is that something that I can actually get used to? Just trying to maximize the run with the best shoe possible. Thanks for any input! How many miles do you have on the Zoom Elite? Or was your impression based on in-store wearing? We ask because the Elite 7 is firmer and narrower fitting than the Dual Fusion, and wanted to know if you were happy with that transition. If you like cushioning with responsiveness, then shoes such as the Skechers GoRun Ultra, UnderArmour Speedform Gemini and the adidas Glide 7 Boost are alternatives. Out of these, the GoRun has the widest forefoot fit. If the Pegasus 31’s are serving you well, no need to change. You can forefoot strike with any running shoe, what matters more is your running form and level of muscular conditioning. I currently run in these shoes and I think they are pretty great. They are so responsive and I am significantly faster in these shoes. I am about 190lbs and athletic. Due to being larger than the average runner, I tend to blow through shoes much faster than the average person but these have lasted me a 100 more miles than my flyknit lunar 2s. Even though I generally forefoot strike I am starting to develop a bit of plantar fasciitis, and have upped my miles considerably so I am researching my next pair of shoes. Would switching to the Pegasus 32 for more cushioning really slow me down? Or should I stick to the Zoom Elite 8? Would recommend sticking to the Zoom Elite 8, and alongside include in a higher level of conditioning/strengthening workout for your lower body. The Pegasus is substantially softer than the Elite. Hey. I’m a sprinter and have been religiously using the zoom elite 6 for some time. No long runs – plyos, sprints, warm up jogs etc. Although I have very flat feet I found the 6 was quite stable and I didn’t have that medial rotation I normally get with other neutral shoes. With a history of foot issues the lack of excessive rotation on foot strikes was great. I tried the zoom elite 7 and I don’t know what they changed but the medial rotation was back and I had to return it. In the event that the zoom elite 8 is similar to its predecessor and I can’t wear it – can you recommend a neutral show similar to the zoom elite 6 that I can try out. I’m not fussed about any particulate brand. The Zoom Elite 8 shares an identical midsole/outsole platform with the 7 (except for the additional piece of outsole rubber), so likely to deliver the same ride experience. We don’t have a great deal of review experience with shoes such as the Elite, but you could try the Mizuno Sayonara or Hitogami, firm neutral shoes with adequate support. The Skechers GoMeb Speed 3 is worth a try too. Flyknit Lunar 3s or Zoom Elite 6s for mid-long distance? I run 5-10 miles a day and I switch off between my Pegasus 31s and FL2s. Which shoe would provide the best support? If you can find the Zoom Elite 6’s, then we’d recommend that over the Lunar 3. The Elite has better support for sure. I’m currently deciding between these and the Pegasus 31. I’ve previously trained in the Adidas Boston 4, Brooks Pure Flow 2 and Nike Pegasus 29. Just need a shoe with some cushioning for my easy and long runs. Then go with the Pegasus 31 or 32.. The Zoom Elite 7/8 are stiffer in comparison. I see, thanks! Just one more question. Which one of the two is more responsive? The Nike Pegasus 32 is more responsive. Hi, Sole Review! I’m a distance runner coming off of a foot injury and am looking for a lighter shoe with some stability. The last few years I’ve been running in both the Brooks Glycerine and Ghost. I’ve found that both of these shoes are not tight enough on my feet, and are a little heavy. I like Brooks because they can take heavy mileage and not wear out after two months. Would this shoe fit the need for a lighter, neutral trainer that has some stability and won’t wear out super fast? These are certainly more durable than Brooks, but it depends on how much you want the shoe to weigh. It is approximately 20% lighter than the Ghost/Glycerin. Also, try and get the ZE7 edition launched in last year Fall or Spring this year. 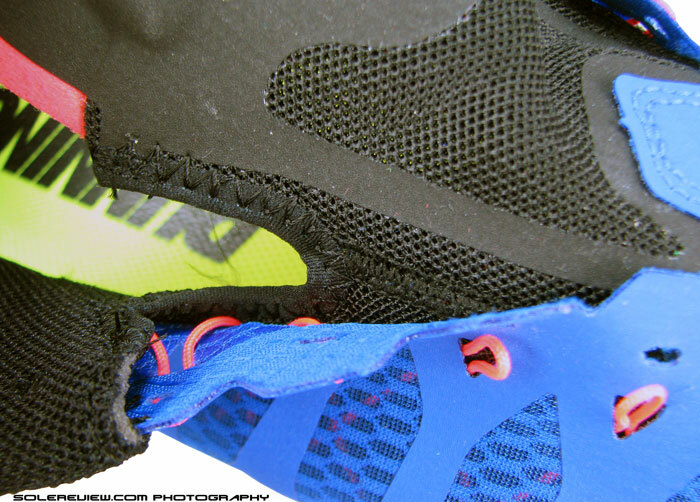 Nike updated the ZE7 with an extra piece of outsole rubber around the heel. Hello! I’m a female sprinter and I practice on a concrete track everyday after school. I had been practicing with the 5.0 free runs for awhile, and I didn’t have much support in the shoe, and I think that caused my recent injuries. I need a good quality, lightweight shoe that will give me support and keep me on my toes, and also keep up with my speed. Will the Zoom Elite do the job? 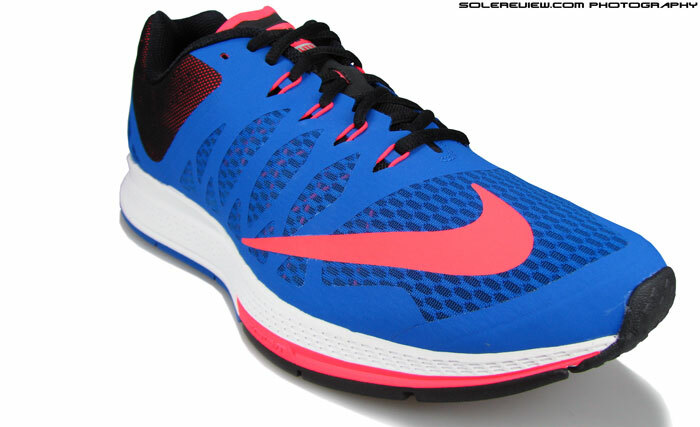 Or should I lean more towards the Pegasus 31s? Between the two (Pegasus and Elite), the Elite works better for support and speed. The Zoom Elite 7 has a little better forefoot feel due to its narrower upper, the Zoom Elite 8 is more relaxed. We’d say get the ZE7, they should be had for a very good price too. Hey Sole Review! First off, you guys are the best in the business. I would like to ask for your advice. What is the fastest, most durable trainer for an underpronator? I am a mid to forefoot runner, and I land pretty hard on the outside of my foot (especially my left which always wears out way before the rest of the shoe). I have had the best luck with the Pegasus 31 which has lasted a crazy-long amount of time, but I would like something faster. Try the adidas Glide Boost or the Boston 5 Boost. The Elite 8 is nice, but the outsole rubber won’t last as long as the Pegasus. I just bought the Zoom Elite 8, but contemplate wether to trade it back to something a bit more sturdy. I weigh approx. 90 kg/ 200 pounds, attempting to land midfoot, but have not been running for a year due to injury. I have just started a beginner’s running program, with very careful progression over 20 weeks. I guess I am looking for a normal/ neutral shoe that will last trough the coming rookie year, with good protection for low pace jogs up to 70-80 minutes, and adequate for moderate tempo intervals. Should I stick with the ZE8, or rather consider the Triumph ISO, Boston Boost 5 or perhaps Asics GT-3000? Try the adidas Glide 7 Boost ( mentioned in your other comment). The Boston Boost is a slightly faster version of the Glide, and a little narrower too. Don’t have any idea about Karhu Strong (haven’t reviewed them just yet), but if you’re coming off the Kinvara 3, the Nike LunarTempo or Lunaracer 3 is a better transition than the Elite 7 or 8. Other than the LunarTempo or LR3, the Skechers GoRun Ride 4 is worth looking into, though we’d personally prefer the LunarTempo over it. I am 24 years old. I weigh 79 kgs 5’11. I am looking a shoes pair of confortable shoes or good performance shoes for my gymming where I will do running for 2 kms approx or some other cardio jumps burpies etc. followed by weight lifting. I have two in mind. Nike zoom elite 7 and other is nike lunarlaunch. Please tell me the better option. And also tellme if there is any better option available. Between the two, the firmer Zoom Elite 7 is a better option. I’m a 20 year old runner and would be participating in a 13km cross country run in Jan ’16. I’d be doing at least 5-6 practices of the whole route, which is complete tarmac. The ZE7s fit my budget well. Should I go for them? What mix/kind of surface is your XC run on?